MaineDOT photo. Construction of the new Gut Bridge in the heart of scenic and picturesque South Bristol, Maine, should be substantially completed in the spring. 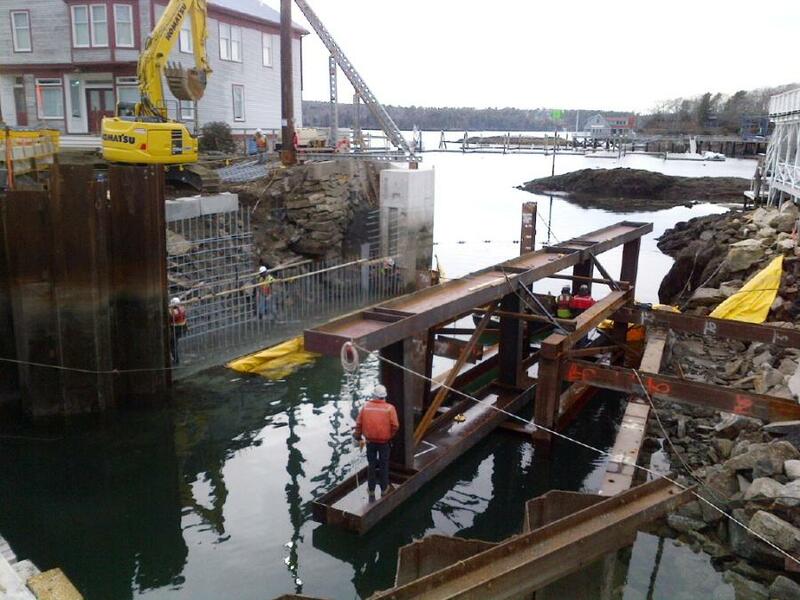 Construction of the new Gut Bridge in the heart of scenic and picturesque South Bristol, Maine, a coastal fishing town specializing in lobstering, should be substantially completed in the spring, with the Maine Department of Transportation (MaineDOT) project expected to be open to traffic in late May 2016. The bridge spans the Gut, described as a tiny channel, which separates Route 129 from Rutherford Island. Although small, the channel provides a shortcut for boats that would otherwise have to circumnavigate the island. Work on the bridge began in September 2014, and it should be completed in late November 2016. Cianbro Corporation was awarded the contract on June 30, 2014 with its bid of $10.99 million to replace the swing bridge that was built in 1933. The project includes the bridge replacement and construction of an operator's house, new traffic warning systems, and some approach work. In mid-September Cianbro completed the work that saw the installation of a temporary fixed bridge (single lane) and the implementation of the channel closure which began on Oct. 21. 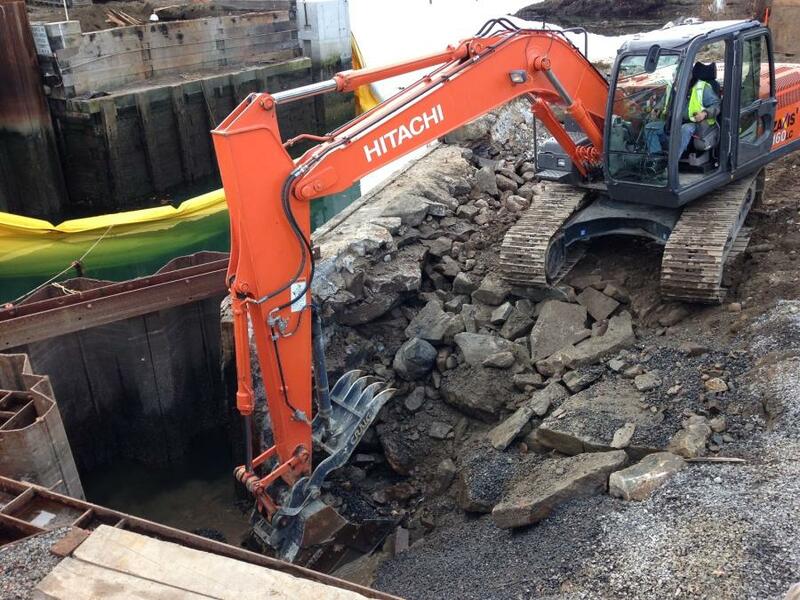 “During the 213 days allowed for the channel closure,” stated the MaineDOT Web page for the project, “we will open the temporary bridge to traffic, demolish the existing bridge, construct the new bridge and remove the temporary bridge”. Hardesty & Hanover LLC (H&H) was brought into the project in early 2013 to develop a third alternative that closely matched the scale of the Rosales concept but provided operational reliability afforded by a counterweight balanced design. In the end, “this smaller bascule bridge” was approved. The design for the new bridge makes it easier for authorities to maintain and results in lower maintenance costs. 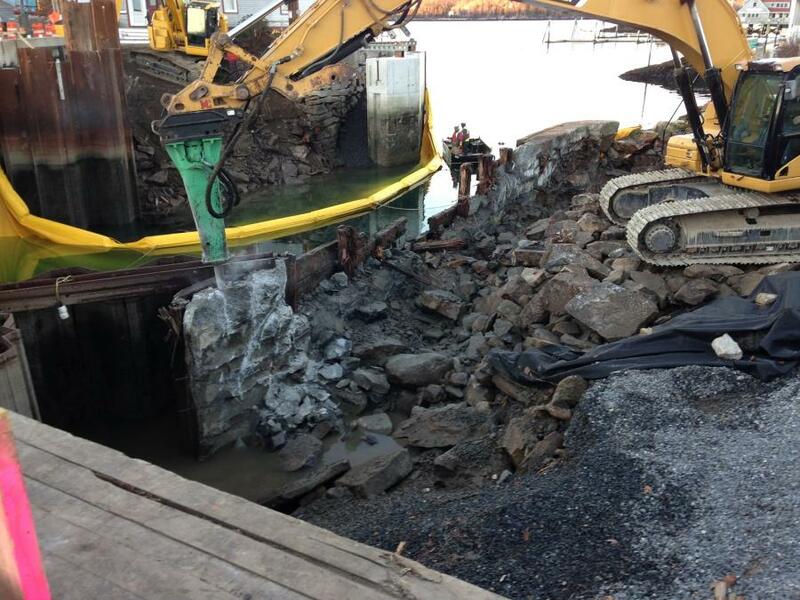 Features include “self-lubricated sealed bearings, as well as materials that meet the standards for heavy-duty marine and industrial usage,” noted the article, which added that the current bridge experienced several mechanical failures in the summer of 2014. 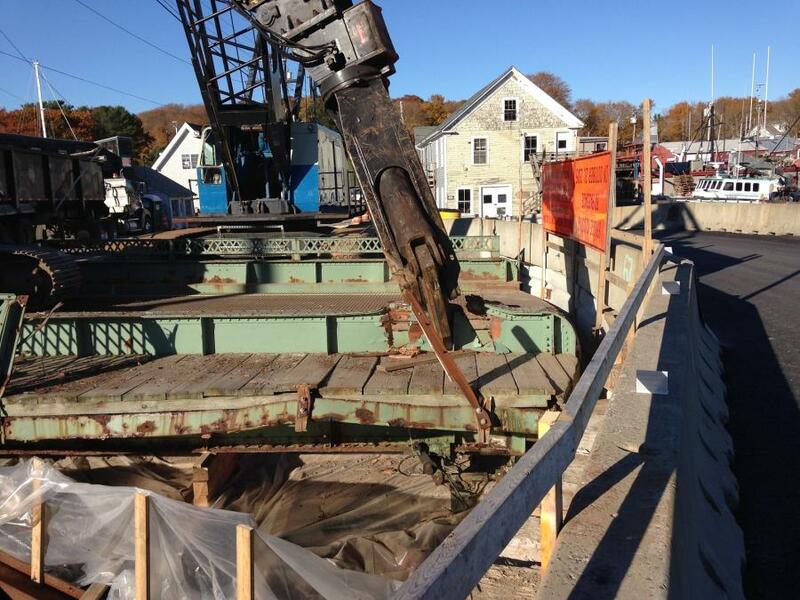 Having a long-term reliable bridge in place is important for MaineDOT. Peter Roody, Hardesty & Hanover's chief engineer of bridges and movable structures, started working on the design of the new bridge in February 2013. “Key design challenges included a highly congested work site, bedrock with no overburden, heavy year round navigation and traffic maintained throughout construction,” he said. “Design innovations included abutments founded on bedrock, constructed without traditional cofferdams; and a cable-stayed bascule bridge superstructure and a lightweight orthotropic steel deck. Counterweights are located in the tower masts and below grade to minimize the scale of the structure. This was a key design requirement established during meetings with the community. Their input and ideas were invaluable to the design process. When Cianbro crews arrived on site the first goals of construction were to build new retaining walls/abutments adjacent to the bridge, which reduced traffic flow to one lane. Following the winter break, Phase I work resumed until June 15 so that it would not impact the summer tourist season. Phase II work started on Sept. 14 and with the closure of the channel, traffic was rerouted onto a temporary bridge placed east of the current one. The goal is to have the new bridge open to traffic in May, while work continues on the approaches and minor elements. Although this project is smaller compared to some of the bigger projects taking place in Maine, it is still a challenging one. “Discussions with town officials, Cianbro, the U.S. Coast Guard and local fishermen were all part of the process to develop a construction schedule for the project,” said Wight. The in-water work window restrictions based on input from multiple environmental agencies are key to the construction schedule. Movable bridges in such tight settings are very rare. Cianbro did a significant amount of planning to prepare for working in such a tight site. Closing the bridge down to boat/vehicular traffic, along with using a temporary bridge, was key to providing space for the contractor to work. The crane being used on the project had to be partially assembled off site due to the lack of space. The new bridge will require 934 cu. yds. (714 cu m) of concrete, 106 tons (96 t) of steel and 287 tons (260 t) of asphalt. 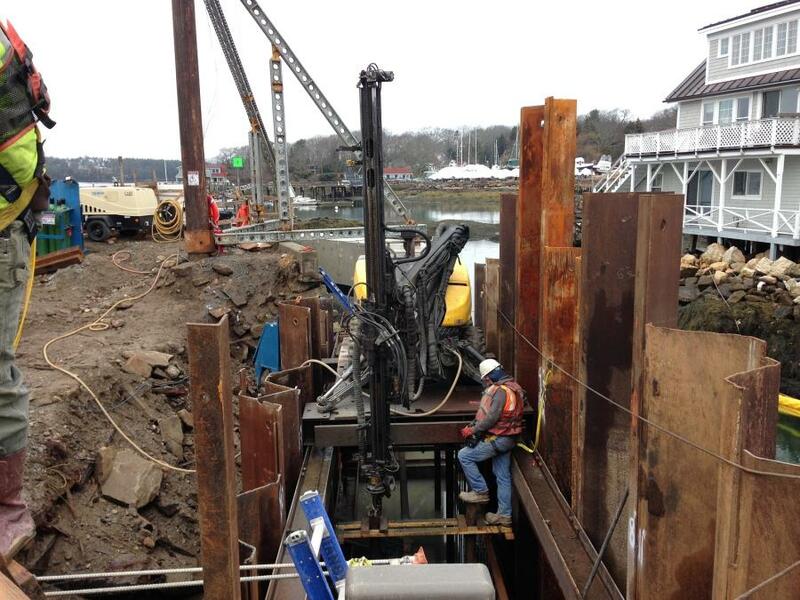 In addition to Maverick, other subcontractors include Maine Drilling and Blasting for the rock anchors, and Plummer Excavation is providing fill. At peak construction Cianbro will have about 20 workers on site. Wright noted that the traffic management plan is working, with an emphasis on ensuring that the construction workers can work safely.